As practice owners are researching digital marketing options, e-newsletters are becoming a popular method to promote PT services to patients. As a compliment to printed newsletters, an e-newsletter shares marketing content and presents an opportunity to hype additional promotions. e-Newsletters also appeal to a wider audience, such as millennials or other tech-savvy populations, and are distributed with almost little to no cost to the clinic. Digital Newsletters: a digital version of a print newsletter. Similarly to the printed version, these use the exact same content and design. However, they are converted into a PDF or digital media which allows them to be shared electronically. 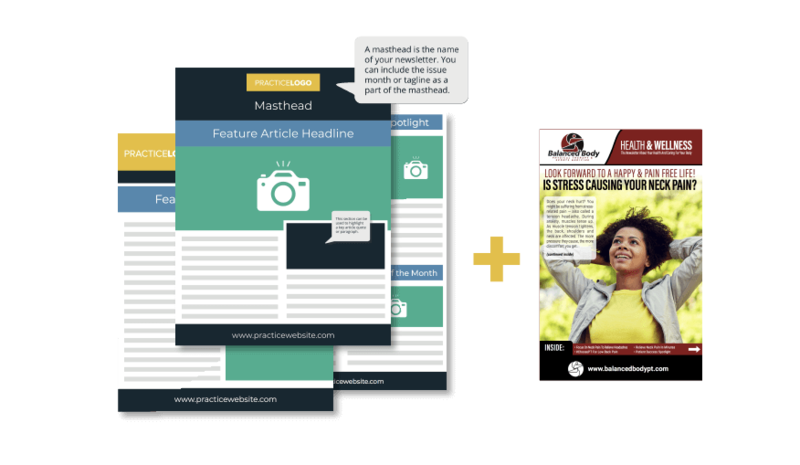 Sometimes, digital newsletters built in a page-turning format simulate the experience of reading through a print newsletter. Download the Free PT Newsletter Template Pack! Email Newsletters: a newsletter specifically designed as an email message. Different content added to web design template or wireframe layout month after month makes these easy to execute. Also, email newsletters can provide snippets of the articles with “read more” links that link to the practice website’s blog. First, let’s think about your marketing plan—do you currently publish a monthly print newsletter? Then, the best fit for your clinic is a digital newsletter. You already have the design and content, you just need to make it digitally accessible. Our team at Practice Promotions actually provides page-turning digital newsletters to our Practice Newsletter System clients as a free bonus to accompany their printed newsletters. Therefore when you are creating the print newsletter in-house each month, you can easily save it as a PDF and upload it to a page-turner host (check out https://flippingbook.com/) for a monthly fee. If you practice isn’t currently creating a print newsletter, you should be writing weekly blog posts for your website. An active blog provides your patients and other web users with educational information and demonstrates your expertise in physical therapy. Additionally, you can easily convert these blog posts into content for your email newsletters! A web designer can prepare an email template or wireframe that is reusable month to month. You can pull the blog post titles, images, and content into the email template and send it to your patients. We recommend using read more links that connect back to the original blog post versus having all the post copy in the email. Most people read emails on a mobile device so keep that in mind when designing your template. The “read more” links drive people to your website to continue reading the post. This helps expand your web marketing reach to a larger audience. 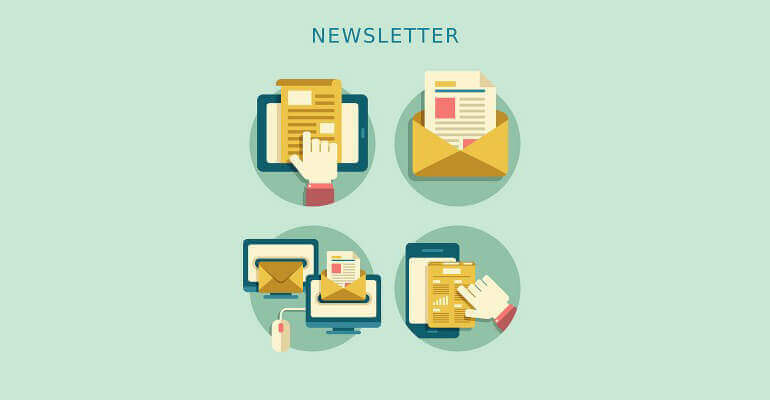 Click here for some real examples from successful practices and more help with e-newsletters!